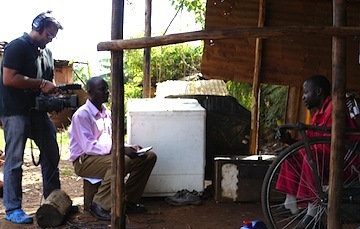 Public health research is meant to improve people’s lives, so it implies a change agenda. For evidence and findings to shift policy and practice, however, it is necessary to be proactive and strategic about research uptake. At the institutional level, STRIVE partners adopt or enhance a strategic influence 'lens' within their own practice and share this approach more broadly. Annie Holmes leads STRIVE’s KiA team, which is made up of two representatives from each member insitution. As a crucial first step, partner organisations prepared landscape analyses, reviewing the structural context for STRIVE work and potential impact. 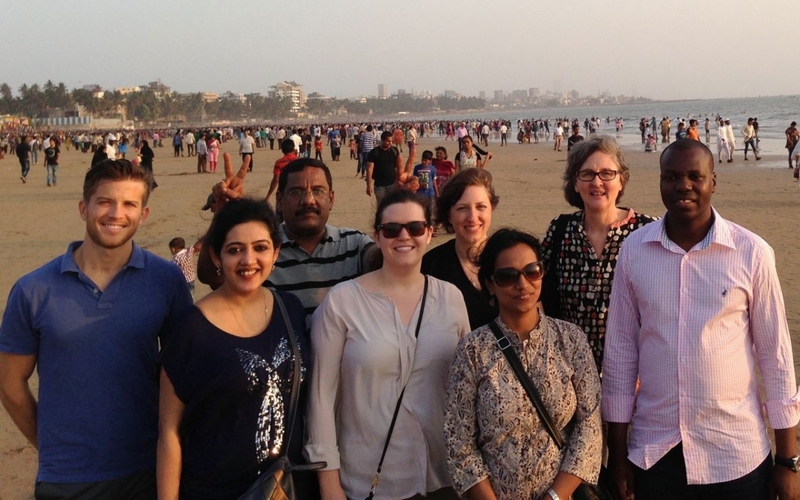 Team members develop and implement a research uptake strategy for their organisation and for each research programme. We now devise an influence strategy at the very beginning of an intervention or study rather than at the end. We build our capacity by developing an influence strategy that is intertwined with the intervention and research. As STRIVE partners engage with stakeholders over time, they gain a clearer understanding of the evidence needs and decision-making processes that shape policies and programmes. Engagement is key to creating an enabling environment for research uptake. 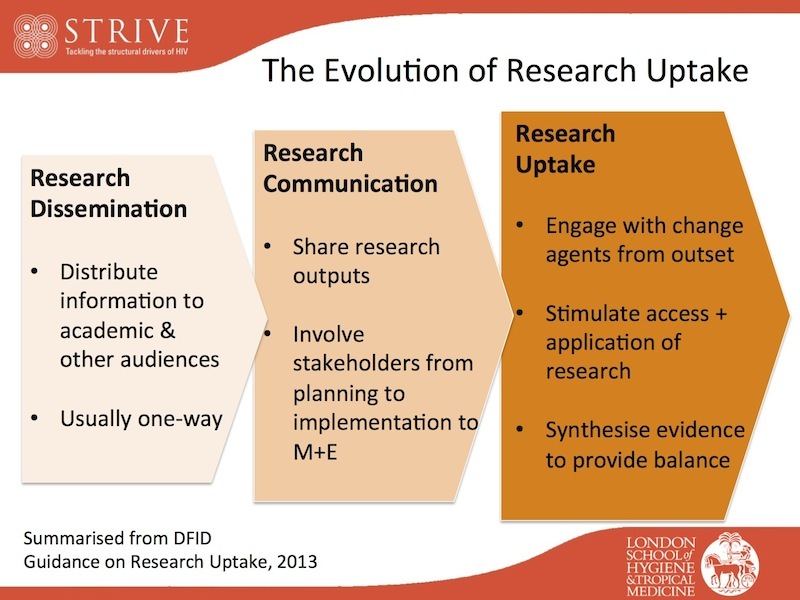 STRIVE’s research uptake strategy is summarised in its Theory of Change and in its model (adapted from ODI, click the image below to view as a PDF). Letter to The Lancet, Paying girls to stay in school: A good return on HIV investment? [Research] findings are too important to be known only within a small circle of fellow scholars. ... [They] ought to guide government policy (because if a better way of doing anything is discovered, surely we should legislate to make it happen?) and public opinion (if our taxes are paying for your research, shouldn’t we know what you’re up to and what you’ve found out? ).